Totally renovated 2 storey loft style townhouse in trendy Liberty Village. Main floor open concept living/dining with renovated kitchen and convenient 2 piece powder room. Hardwood floors throughout. Second floor master with wall-to-wall built in closets, 4 piece ensuite, and french doors to the den (currently used as child's room). Large private terrace perfect for afternoon bbq's! Parking and locker included. Convenience of a condo with the privacy of your own front door. Fantastic walkable downtown location! 736 bay st suite 1712- sold in 2 days with 5 offers! Perfect Pied-A-Terre In The Downtown Core. Bright And Airy Corner Unit With Spacious Balcony And Open Views. Newly Renovated With Dark Laminate Floors And Marble Counter Tops In Kitchen And Bathroom. Exceptional Layout With Spacious Bedroom (With A Door! ), Large Window, And Double Closet. Steps To U Of T. Hospitals, Financial District, Ttc, Shops, Restaurants. Maintenance Fee Includes Hydro, Heat, Water, Locker, And Parking Space. Fantastic Value In A Well Established Building! Watch The Sailboats Float By From Your Front Porch Just 4 Houses From The Lake! Walk To The Shops And Restaurants In Downtown Oakville, Stroll Along The Lake Or Invite The Family Over For A Swim. The Perfect Condo Alternative! …..
295 davenport road suite 212- sold in 4 days! Authentic Loft Living In Yorkville! With Soaring Ceilings And Treetop Views Over The Annex, This 1400 Sq' 2nd Level Suite Ticks All The Boxes. Spacious Kitchen With Top Of The Line Appliances And An Oversized Island, Open Concept Living And Dining Rooms Grand Enough To Host A Dozen Of Your Closest Friends. Second Floor Terrace…..
363 sorauren ave #304- SOLD WITH 9 OFFERS! 145 marlborough place- sold over asking in 48 hrs! 23 boston ave- sold with 9 offers! 240 BEDFORD PARK AVE- SOLD OVER ASKING! Immaculate Detached 3 Bedroom Beauty On Bedford Park! Renovated From Head To Toe! Open Concept, Light-Filled Main Floor W/Sleek Modern Kitchen, Top Of The Line Appliances, Island Seating, And Tons Of Storage! 137 latimer ave- sold in 48 hrs for 20% over list price! 68 broadview Ave loft 507- sold in 2 days for over asking! 320 richmond st east suite 1419- sold in 2 days for over asking! 1347 mount pleasant rd- Sold! 24 ALEXANDRA BLVD- sold with 6 offers! 18 king edward ave- sold for 41% over asking! Bright And Airy Renovated 2 + 1 Bedroom Detached Home,Just A 5 Minute Walk Across The Park To The Shops On The Danforth And Subway. Crisp White Kitchen With gas Stove, Breakfast Bar, Caesarstone Counters And New Patio Doors To The Garden. Open Concept Living And Dining Rooms, Main Floor Powder Room, Insulated Mudroom, 2 Generous Bedrooms Upstairs- Both With Closets! 32 TROLLEY CRESCENT PENTHOUSE 3- sold! 154 langford ave- SOLD WITH 10 OFFERS! 90 stadium rd townhouse 113- sold with 2 offers in 5 days! Rarely Offered, Waterfront Town Home On The Park! Fabulous Open Concept, Sun-Filled Layout, Designed For Easy Living And Entertaining! Extra Large 2 Bed, 3 Bath And Unique 2nd Floor Family Room. Floor To Ceiling South Facing Windows Overlooking Your Private Garden, Park And Marina! no lawn mower needed here! 16 silver ave- sold with 10 offers! Stunning west facing 1 bedroom suite in the award-winning "Hudson" in the heart of King West. Fantastic Open Concept Floor Plan With No Wasted space. Floor to ceiling windows with magnificent lake and city views! 9' ceilings! Generous kitchen with granite breakfast bar! Fabulous ammenities, 24 hr concierge and all inclusive maintenace fees of only $420.08! Parking and Locker included! 20 HOWLAND RD- SOLD WITH 3 OFFERS! Loft-Inspired Living In The Heart Of Downtown Toronto! This Completely Renovated 1 Bedroom Loft Boasts 10' Smooth Ceilings, Hardwood Floors, New Spa-Inspired Washrooms And Stunning Chef's Kitchen. The Private Terrace (Bbq Allowed!) Within The Bldg's Trademark Catwalk Has Great City Views. Owned Parking And Locker Add Tremendous Value! 625 QUEEN ST E SUITE 501- SOLD IN 4 DAYS! 161 Fulton Ave- SOLD WITH 3 OFFERS! 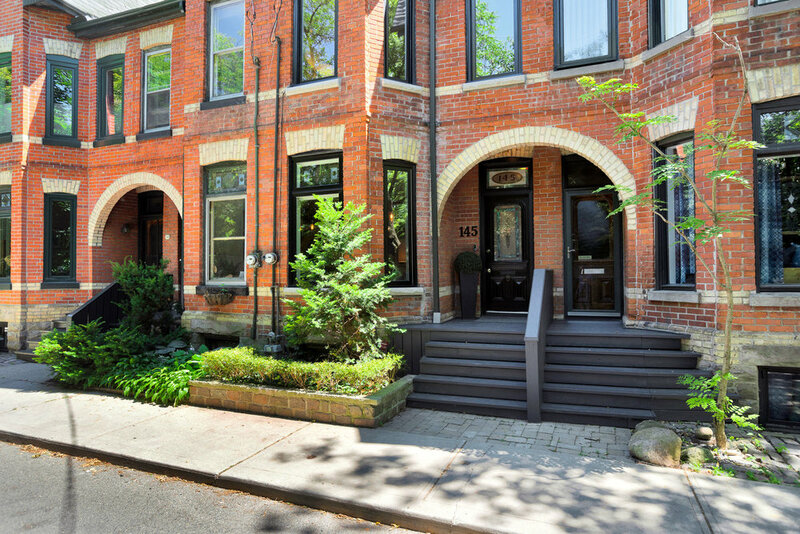 Welcome to 25 Boston Avenue in the heart of Leslieville! SOLD in 2 days! 131 Withrow Ave- SOLD BEFORE GOING TO MARKET! Prepare to fall in love with this stylish 3 bed, 2 bath home, located in the heart of Riverdale! This character home has been substantially updated with a tasteful mix of modern and traditional elements: think Brooklyn meets Riverdale! Just Listed! 20 Wroxeter Ave- offered for sale at $998,900- SOLD WITH 5 OFFERS! 26 FRIZZELL AVE- sold before going to market. 71 SIMCOE SUITE 1403- sold in 8 days! KEEP CURRENT ON TORONTO REAL ESTATE WITH WEEKLY MARKET REPORTS! "Unparalleled neighbourhood knowledge, brilliant selling and pricing strategy, tireless work ethic, professional network of complementary services and an absolute delight to work with through the entire process. Given her skills, expertise and personality, it was no surprise that Jen got substantially more for my house than expected. Who knew selling a home could be so enjoyable? Simply put, I highly recommend her." Ron T.
"It was such a relief to come back to the house and see that SOLD sign! Thank you for that and the champagne. We really appreciated all the hard work you did to make this happen for us. We are so happy we chose you to work with and would do it again in a heart beat. It was an all around stressful experience and you remained strong and professional throughout. Everything I am saying is falling short, I wish I could give you a great big hug! Thank you." Kristy B.